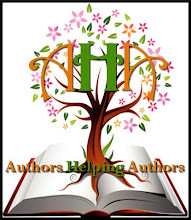 ← Romancing your E-reader blog hop! Calisa Rhose ~ Blog of the Year! Osiyo~ What a glorious way to end the year of 2012! And an even better way to ring in the new! My dear friend and sister Lyrical Press author nominated my blog, The Ranch, as Blog of the Year and I’m extremely tickled pink! Thank you Mae Clair, who also has an awesome blog I’ve visited a few times in both my author and editor hats this year. I met her after Lyrical contracted my second book ever and she was a friendly ‘face’ in an unknown crowd who reached out and welcomed me as all Lyrical members did. We clicked and have become friends and I hope to meet her in person one day. 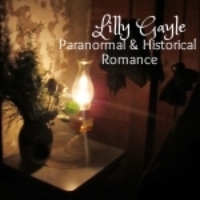 Mae is a wonderfully talented author, too, with her debut book released this past Halloween. If you haven’t read it, check out Weathering Rock for a great time travel paranormal romance. It’s a great way to end the year! I’m honored and pleased to have received this blogging award from my dear friend and I couldn’t think of a better way to ring out the new year here on the Ranch than to acknowledge Mae in this post for her awesomeness. So . . . how does it work? 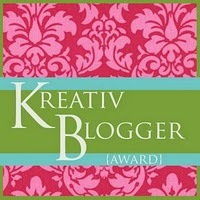 This award is unlike other awards, which you can only add to your blog once, but that is part of the charm for this one. When you begin, you will receive the ‘1’ star award as I have above. 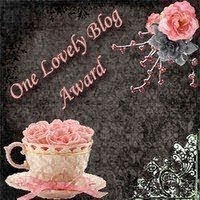 Every time you are given this award by another blog, you can add another star! How cool? There are a total of ‘6’ stars to collect. Which means that you can check out your favorite blogs—and even if they have already been given the award by someone else—you can still make your opinion count and pass it on to them again and help them (or me) reach the maximum of ‘6’ stars. You can now also join our Facebook page – click the link here ‘Blog of the Year 2012’ Award(https://www.facebook.com/groups/BlogoftheYear/) and then you can share your blog with an even wider audience. Vonnie Davis– From the first time I visited Vonnie’s blog, unawares– and it truly needs to come with a warning label– I’ve laughed. I don’t think I ever laughed so much before ‘meeting’ Vonnie Davis upon signing my first contract, courtesy of the Wild Rose Press. Ive met a lot of wonderful friends there and am so very proud to include Vonnie among them. It is a rare day when I can claim a woman and writer of her caliber a friend. Vonnie, please accept my award to you. Joelene Coleman a.k.a. Harley Brooks– What can I say? Since meeting Joelene in the Edit Your Book in a Month workshop with Eliza Knight in August 2010 it feels as though a lifetime has passed between this wonderful woman and my friendship. She’s always willing to lend a helping writer’s hand and doesn’t hesitate to ask for help in return. She writes exceptional YA and is the funny bone in my life. Don’t believe me? Just read some of her blog posts! Though not a daily, weekly or even every month she knows how to keep you coming back just to see what she’s up to next. Her Christmas hoop-la is posted still, so check it out. While you’re there, just scroll through a few of her past posts (I’m particularly fond of her Thanksgiving post), including her Halloween short story, in three posts. Seriously–I love this gal! Take a hankie ‘cos you will die laughing. Christine Warner– She’s my critique partner, twitter-pal and friend. She’s an awesome writer with a great What to Read Wednesday feature that introduces me to a lot of new readers and writers I wouldn’t normally have a chance to meet–and she literally replies to EVERY single comment on her blog, no matter who comments or how many times. She has a personality that is rare and generous and a blog that reflects that about her. She’s a writer who was awarded the honor of having her book chosen as one of the years’ best and deserves it! I love being able to call Christine my friend. Last, but definitely not least, I nominate friend and writer Beth Trissel. I don’t know where she finds time and energy to research the posts she writes, but they are never frivolous always filled with information and so interesting! From folk lore and herbalism, to historical and little-known facts, Beth is a virtual well of information. That intense knowledge shows in her NA novels that have won awards and accolades over the years that I hope to match, but know I probably never will. LOL Just knowing this lady is an honor so I’m proud to bestow this award on her. Thanks again Mae for honoring me with this award. I’m so happy to be able to pass it along to some wonderful friends and I would give it to all my friends if I could! Posted on 12/31/2012, in Welcome. Bookmark the permalink. 9 Comments. Congrats, Calisa, and happy new year as well! Congrats…and thank you in return!! You are my inspiration to blog more in 2013 and I’m glad I’ve made you laugh (or cry) over the years. Yes, I consider you a true “Cyber BFF.” Sorry I’m late with the response but hey…it’s me. If I can’t have the first word, you better believe I’ll have the last! Congratulations and well deserved. Love ya! SQUEE!!! Thanks for nominating me and for your kind words. Hugs, darlin’. I’ll be checking into the other bloggers you nominated. I’m already familiar with a few but they all sound great. Happy New Year!